Power of Attorney Before Boot Camp? Marine Corps photo by Pfc. John-Paul Imbody. Jacksonville, Florida. Jan 2, 2013. While your son or daughter is preparing to leave for recruit training it is important that they ensure there is a plan for how their bills will be paid while they're gone. Some services will allow your recruit to put payments on suspension while at recruit training, however they will have to check with those services beforehand. The easiest course of action would most likely be to show someone they trust how and where to pay their bills so that it can be taken care of while they're gone. If a power of attorney is needed in the case that there needs to be signatures when payments are made, then look into a special power of attorney. This way your recruit can choose what they want the other party to have access to. The people that are left with that responsibility should be someone trustworthy, such as a parent, spouse, or sibling. Every situation will be different. It is not recommended that a power of attorney be given to a boyfriend/girlfriend, or another non family member, where they will have access to bank accounts and additional information. While every situation is different there are many instances where someone you may have found trustworthy could decide to empty bank accounts and steal other information that they shouldnt have had access to in the first place. This is not meant to offend anyone, but it happens too often to not mention as a possibility. A poolee who owns property or has an estate or is the executer of a will or other deed, may need a power of attorney if actions will be necessary during the 13 weeks of recruit training. Thankfully, most poolees DO NOT need a power of attorney before leaving for boot camp. They do need to assure however, bills they are responsible for will be paid on time during boot camp. 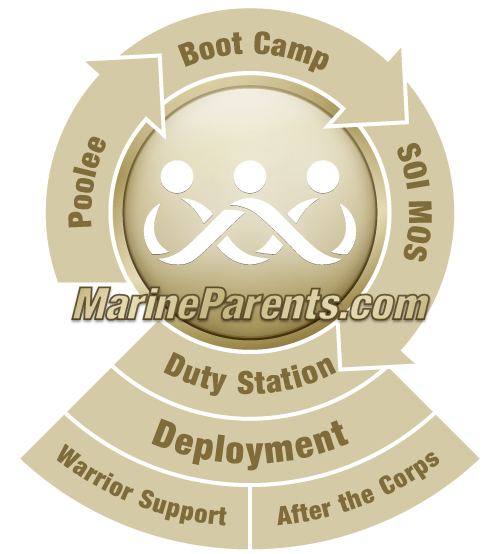 There are many steps in preparation before your son or daughter leaves for boot camp. It is important that they are proactive in this process and ensuring that their affairs are in order. If they can avoid using a power of attorney, they should. If it becomes necessary they should be careful about who that access is given to.